RMP provided a full acoustic consultancy service throughout this iconic project to build a new facility to integrate a range of council services as well as a Police station. The facility includes a multi-purpose Town Hall, Library with McMillan Cancer Support, and community café. 3D modelling of the acoustically sensitive areas was undertaken for BREEAM requirement. 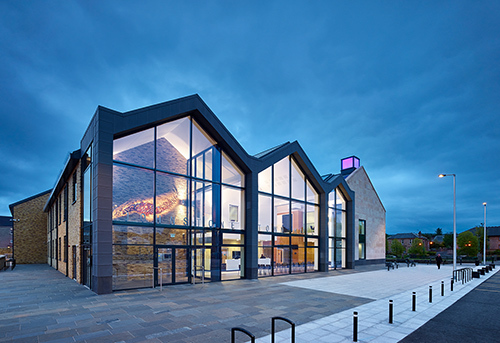 Winner of Scottish Project of the Year 2016 at the Royal Institution of Chartered Surveyors (RICS) awards and of the 2016 “Commendation” Civic Trust Awards.